Song of Susannah has one of the meanest cliffhanger endings ever. I am really happy that I’m late enough to the series that I don’t have to wait for the sequel to know what happens next. That’s of course already an indicator that I’m very much invested in the story, even though I am noticing a fair amount of impatience on my part to be done with the story. Part of that is because I really found the entire Mia-thing supremely annoying. When you only got one female character of note, please please please try not to have her thing be a mystical pregnancy. Even if you have many female characters, try not to include that super-tired trope. Another part of it, though, is that the story shifts its focus too much away from Roland: it is his story after all, and it should have him at the center. But King obviously knows that and by the end of this installment of the series, things are well on track for the showdown. The thing I loved most about the novel, though, (apart from the fact that by the end, the pregnancy is over and done with) was the inclusion of King himself as a character and generally the entire meta level to the story telling. I certainly didn’t expect King to off himself in any case. I thought that was a pretty ballsy move and I appreciated it. Summarizing: I’m really looking forward to the rest of the story. Especially now that the pregancy stuff is over. 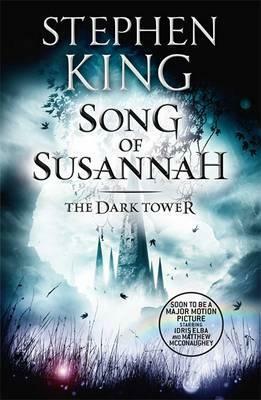 This entry was posted in books and tagged Song of Susannah, Stephen King, The Dark Tower by kalafudra. Bookmark the permalink.